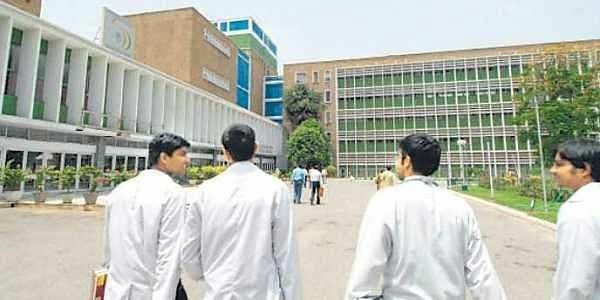 Half an hour through the interim budget, Minister of Finance & Corporate Affairs Piyush Goyal announced the setting up of a new All India Institute of Medical Sciences (AIIMS) in the country. The campus will be in Haryana. "I'm happy to say that the 22nd AIIMS will be set up in Haryana, where I come from," said Goyal. He added that of the 21 existing or to be operational AIIMS in the country right now, 14 were announced by the current Narendra Modi-led government. Currently, nine AIIMS are operational in the country, which are located across New Delhi, Bhubaneswar, Jodhpur, Patna, Raipur, Rishikesh, Mangalagiri and Nagpur. The future campuses will be set up across Raebareli, Gorakpur, Kalyani, Bhatinda, Changsari, Vijay Pur, Awantipora, Bilaspur, Madurai, Darbhanga, Deoghar, Rajkot and Hyderabad (excluding the latest proposition in Haryana), in different phases. The All India Institutes of Medical Sciences (AIIMS) are a group of autonomous public medical colleges of higher education, which are declared by an Act of Parliament as Institutes of National Importance. The first AIIMS campus was set up in New Delhi in 1956. The other campuses were proposed/set up only post 2012, after the All India Institute of Medical Sciences (Amendment) Bill was passed.